Our meals need to be accessorized just as we do with our clothes. I guess your figuring what is she talking about. Well, you know when you’re styling your outfits/looks you always have to add a watch, earrings, handbag etc. The same rule applies when its time to prepare for meals, they need sides to complete the meal as well. I couldn’t help but share that little analogy lol. With the holidays vastly approaching many of us are preparing to gather with family and friends and planning to pull out all the stops on your favorite recipes, right? I know I am. 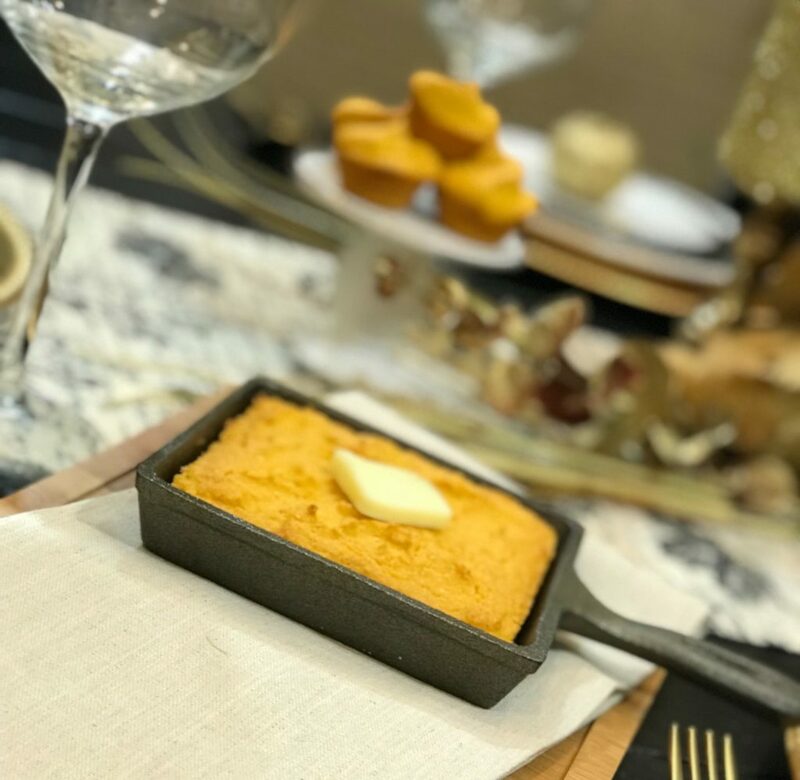 I wanted to try this recipe that I came across for sweet potato cornbread. 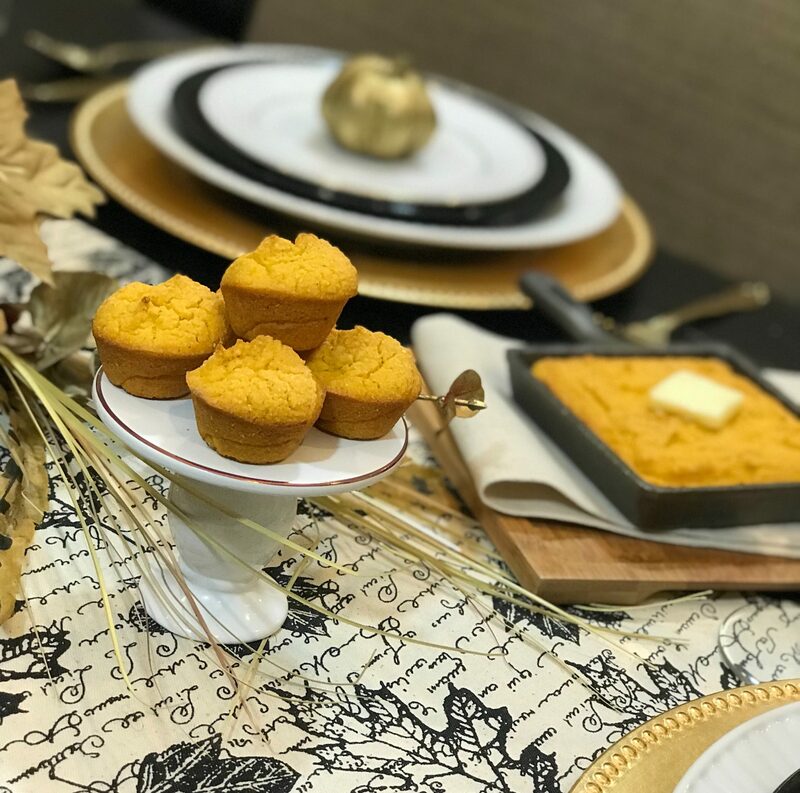 My family and I love this accessory, I mean side dish lol, so I wanted to add a twist to it so I divided up the mixture and made skillet cornbread and mini cornbread muffins. 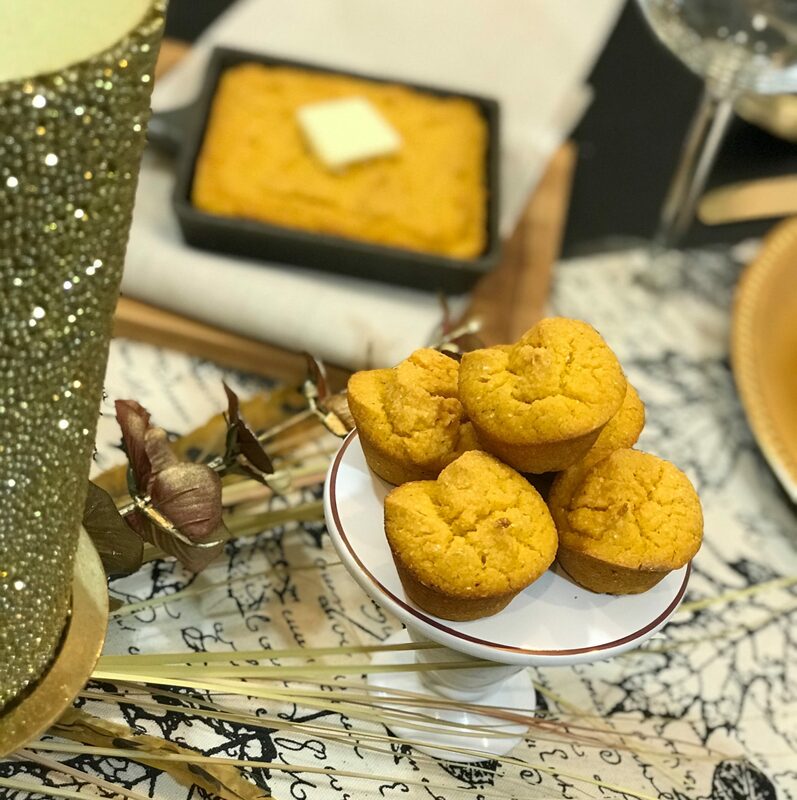 The timing to make this recipe couldn’t have been more exciting when Craker Barrel reached out to collaborate with more on their Fall #crakerbarrelbundles campaign. They sent me some amazing goodies and I enjoyed creating some delicious dishes with them. These ingredients can be adjusted to your personal liking and thank you for stoping by my blog.